Super bright, acid green. 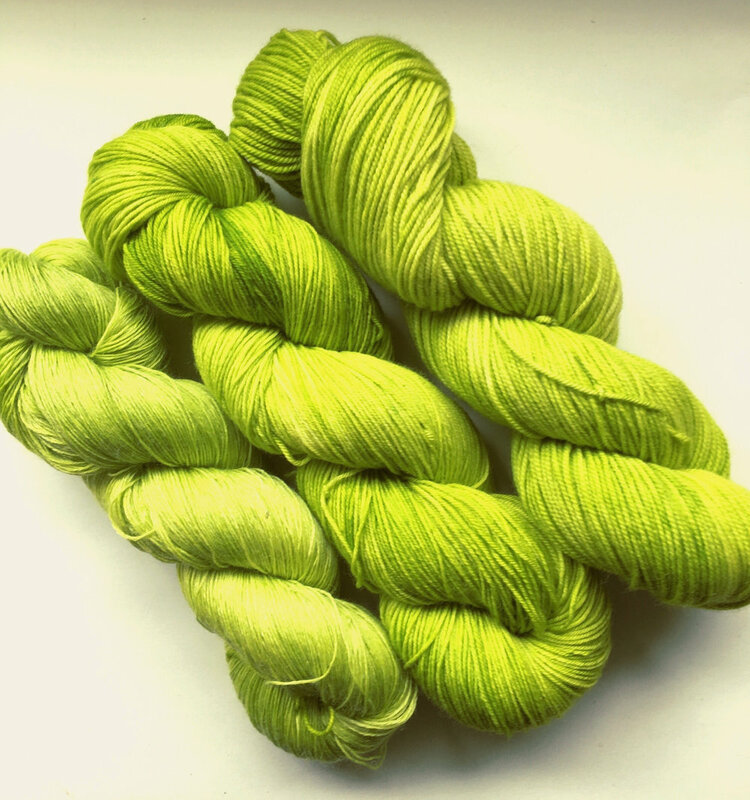 Pictured on Aura Lace, Sheepy Feet, and Merino Sport. Shades of blue, purple, and magenta, reminiscent of the wolfsbane flower. Shown on Sheepy Feet and Big Feet. 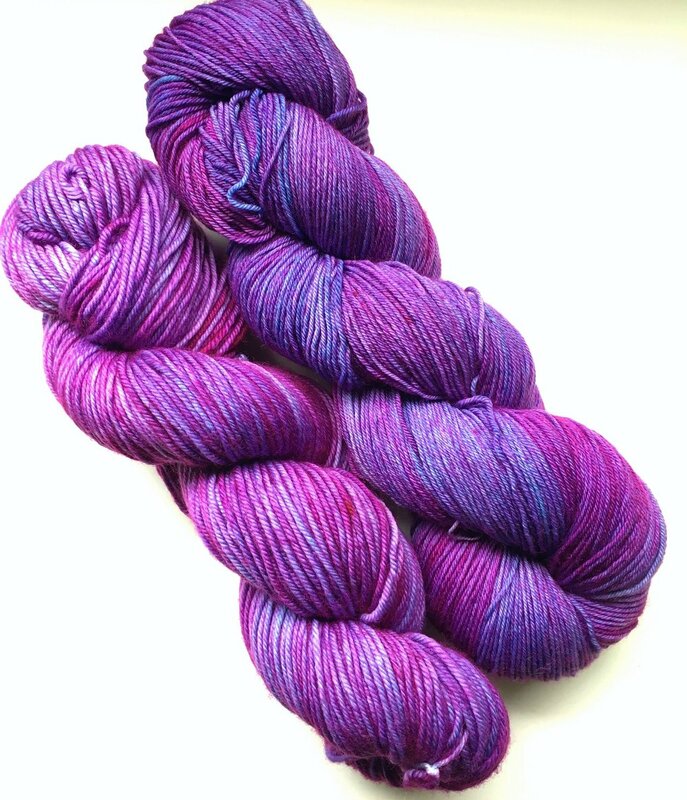 Aura Lace is a 6-ply heavy laceweight yarn, with wonderful softness and sheen. 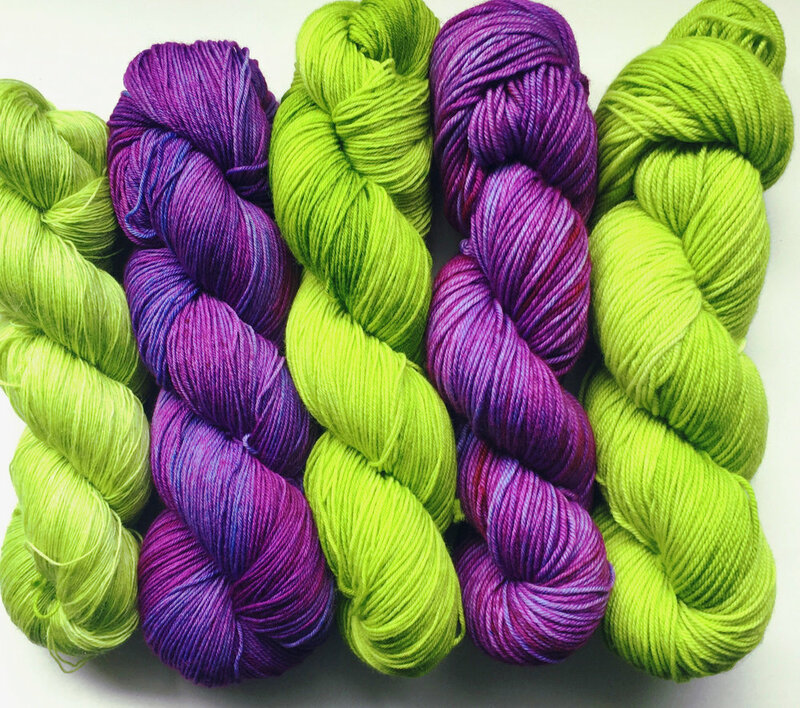 The fiber content of this yarn means that it dyes lighter than other bases, but the yarn reflects light and colors beautifully. Merino Sport is a 3-ply superwash merino sport weight yarn. Soft and round, shows textures well, great for accessories and garments. Big Feet is 4 ply superwash merino with a high twist. This yarn is soft and very round, giving excellent stitch definition and next to skin softness.